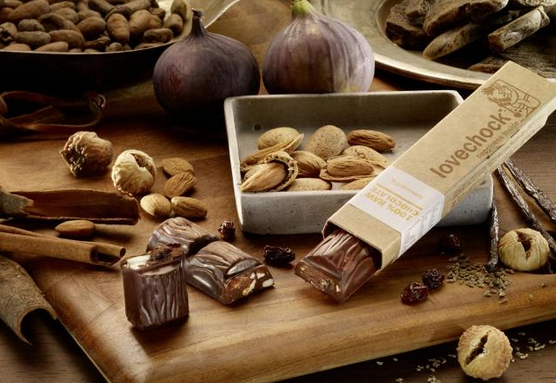 Lovechock Almond / Fig – love at first bite! A tempting, hand made raw chocolate bar, lovingly prepared using entirely natural ingredients, including raw cacao, almonds and figs. A delicious snack between meals and ideal directly before or immediately after a rigorous workout. A tempting, hand made organic bar, lovingly prepared from raw cacao. 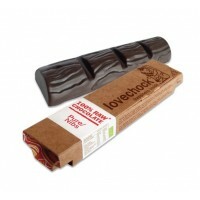 Lovechock bars make a satisfying and sensible snack between meals and are absolutely ideal directly before or immediately after a rigorous workout. Store in a cool, dry place. Lovechock are entirely devoted to producing the finest, most delectable raw chocolate bars, all of which boast the intense flavour and pure essence of raw cacao and are crammed with whole pieces of 100% organic super fruits and nuts. They use only cold ground cacao from Arriba Nacional beans, as this superior variety of bean retains an optimum amount of natural nutrients and comes from certified organic suppliers who ensure that local farmers receive a fair price for their cacao. One Lovechock bar weighs 40 grams and can be enjoyed as part of a varied and balanced diet, at any time of day. 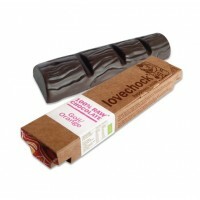 The raw cacao contained in organic Lovechock bars has been cold ground to retain an optimum amount of natural nutrients. 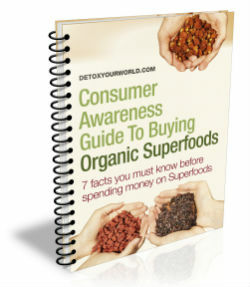 Raw cacao contains 1% theobromine, which is a mild type of caffeine. Do not order Lovechock if you are allergic to caffeine, cacao, nuts, coconut blossom nectar, dried coconut blossom nectar, figs, raisins, lucuma powder, cinnamon, maca powder, vanilla, aniseed or any other of the product’s ingredients. I love these mouth melting chock.